As I walked into the kitchen, I could feel a big smile coming across my face. In part it was because of seeing Paul Double in an incredible chef’s hat. Yet it was also because those in Winona who were hungry were being fed! Standing there in the sacristy, I was then surprised by how many young people kept popping in and out for one reason or another. Moments later, I was directed to the undercroft where I came upon a whole gaggle of blue choir robed youth – all preparing to process in. The funny thing was, once we were all in our places in the sanctuary, the choir almost outnumbered the rest of the gathering. Come to find out, many of these youth are from the greater community and are church attenders while their parents are not. The youth of Chatfield were certainly at home and welcomed here. A couple hours later and down the road, I am once again surrounded by a sea of young people, this time the setting is Rochester. Food, fellowship, and fun are all taking place. Yet, it became clear to me that it was not just about fun for those gathered. These folks had spent a good deal of time during this last school year learning about their neighbors both near and far. This was most poignantly demonstrated in a video made by a young person who had the privilege of going to Haiti. She described the devastation after the earthquake, taking clothing to share, and how her life was changed forever. The people of Haiti were not only given clothing, but the gift of human contact and compassion. 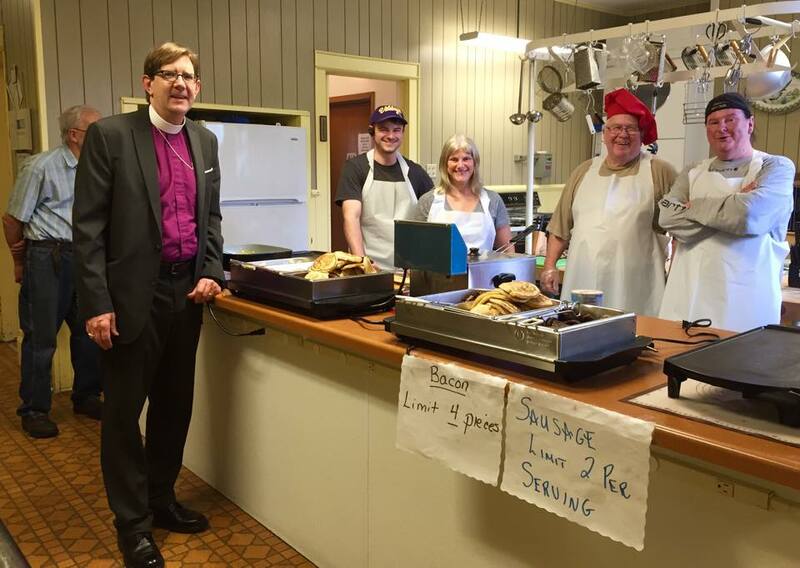 Multiple times each day I have the incredible blessing of witnessing the faith communities of the Episcopal Church in Minnesota living into Jesus’ invitation to engage God’s mission in the world. The hungry are being fed, the stranger is being welcomed, the naked are being clothed, and the sick and others are being visited. By God’s grace we can end hunger, we can end homelessness, we can make it so that everyone’s basic needs are being met, and that all feel welcomed and cared for!